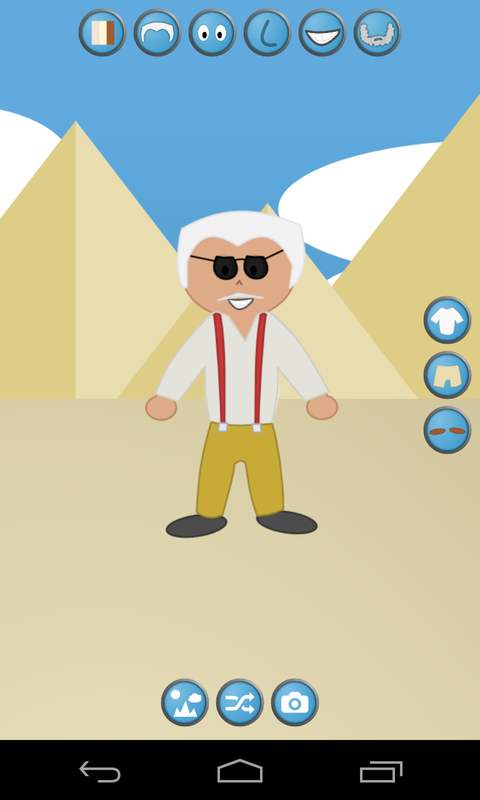 It is the free dress up grandpa game, where all you do is put fun clothes on an old grandpa! Dress up grandpa, change his hair color, give him funny glasses, faces, a beard, what have you. Time killing casual fun for boys, girls, kids, teens, and adults of all ages. 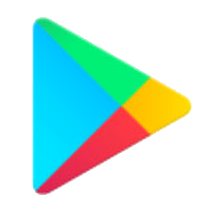 Game play is simple. You start out with a random grandpa. Choose a background scene, give him a skin color, pick his hair, eyes, nose, mouth, beard, and clothes. You can choose between shirts, pants, and shoes. More options may be added later. Many dressup options to choose from. 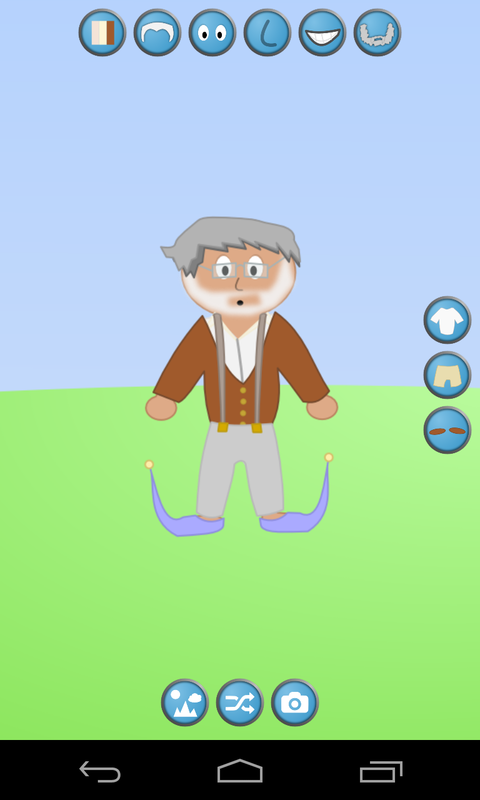 There is even a randomizer to create a random grandpa, in case you run out of ideas. After you dress up your grandpa, press the camera button to save a screen shot. You can then share the screenshot with your friends on your favorite social network. Compete with your friends for the coolest or funniest looking grandpa! Will the fun ever end? Probably not. There is only one way to tell though. 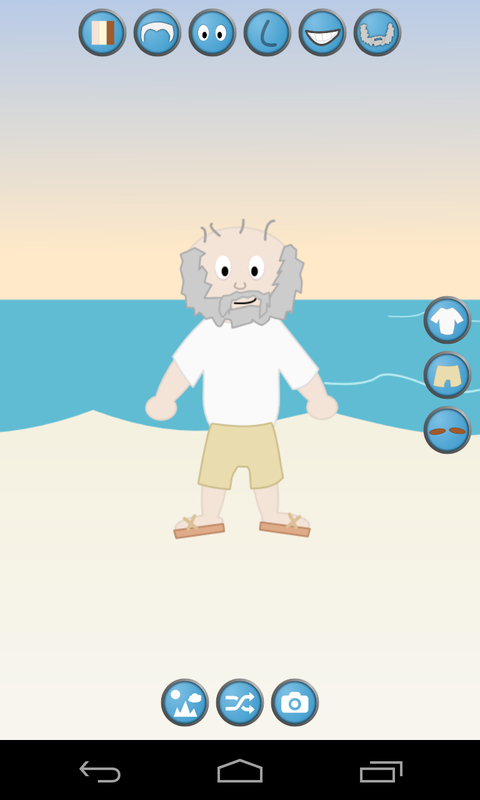 Download dress up grandpa today, the fun and free dress up game from Ape Apps. Batteries not included.